This exhibition features 21 of Deanna Sirlin’s new works, including mixed media collages that incorporate both traditional art materials and pieces of her own works alongside elements of recycled and found objects. a site-specific large-scale window installation created exclusively for Gallery 72, and paintings on canvas. Sirlin is well-known as a pioneer of using digitally printed transparent materials as a vehicle for her intensely colored abstract imagery. She has completed eight such installations around the world; this will be her first, new installation exhibited in Atlanta since 2006. Sirlin will also present a video work that she made in collaboration with New York artist Matthew Ostrowski. 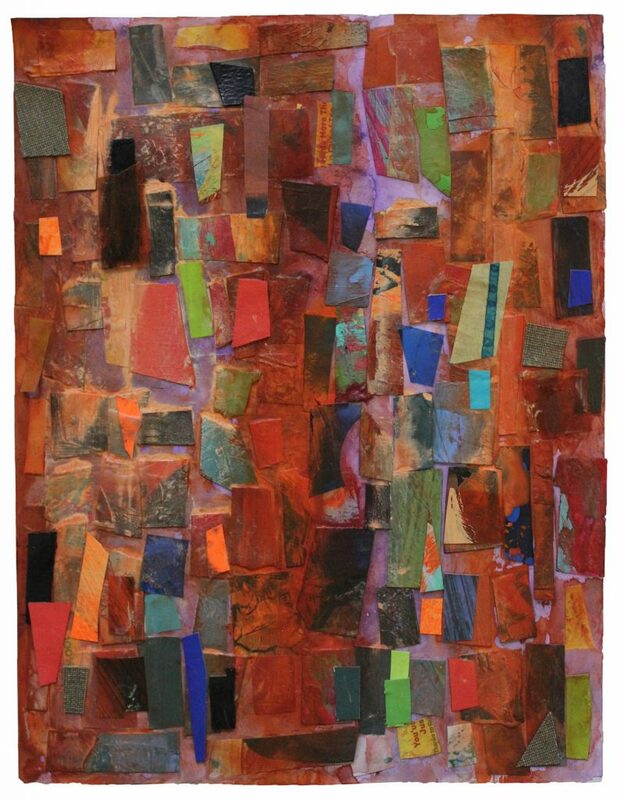 “My works employ collage because of a desire to hold a color in my hand and place the color into the composition. The works are made by creating and finding color shapes that are cut into particular forms. My interest is in the interaction of color and shape; the structure is based on affinities and inclinations between and among the elements that are found, made, and rescued. Forms and shapes overlay each other–sections are embedded into the surface as a response. Elements conceal and reveal the underpinnings of the structure of map-like compositions that are also a kind of plan view. As I place each piece on each color in the composition, all is in response. I replay, reply and reaffirm with each piece in the individual conversation to create a place, a thought, and a pictorial idea. Thursday, Aug. 16. from 6 p.m. to 9 p.m.
RSVP for the reception here.